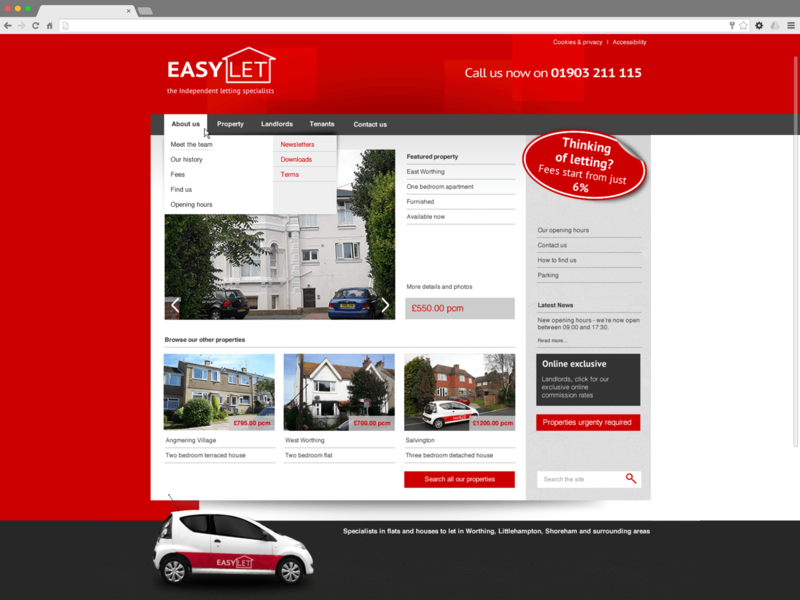 This design was put together as part of a pitch to local lettings company EasyLet. At the time, their existing site was very old-fashioned and my aim was to redesign this for them. Ultimately not taken up, this design uses their existing brand colours and a slightly updated logo.